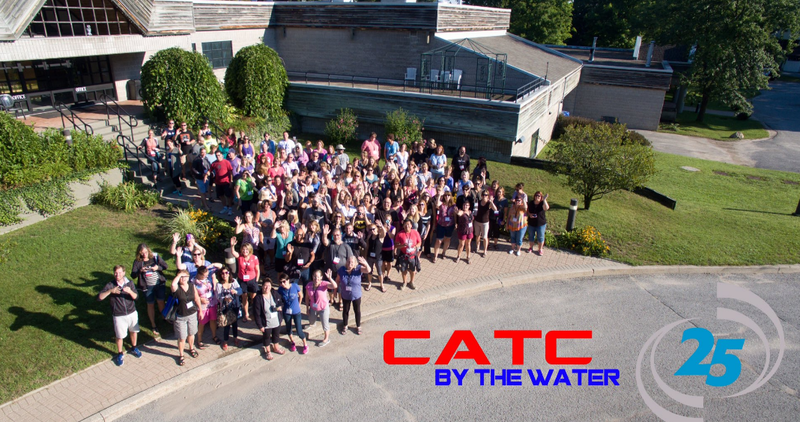 Note: CATC (Computers Across the Curriculum) Camp is a Professional Learning Opportunity for Educators in Waterloo Region District School Board. 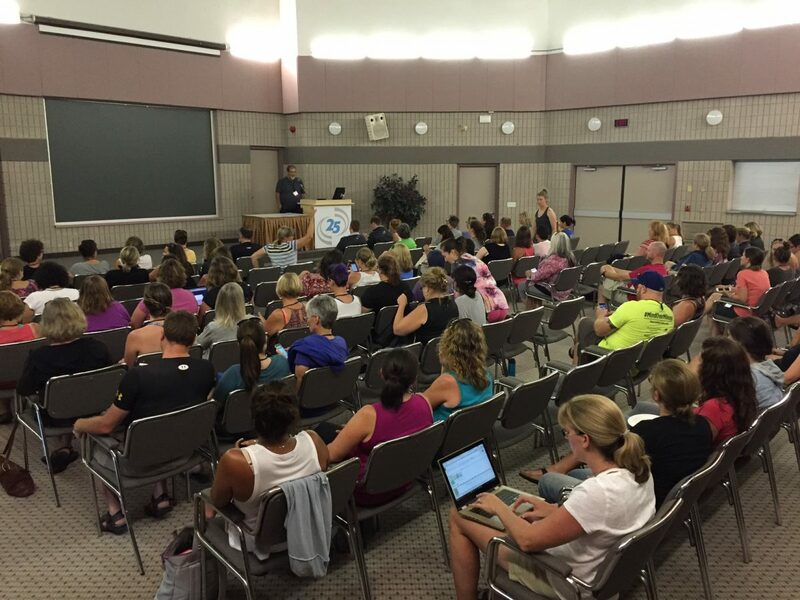 About 125 teachers meet at the Kempenfelt Conference Centre each summer to share and learn about how to integrate technology into their curriculum and to use technology effectively in their practice. This year we celebrate their 25th year of learning in this way. There are about 12 rooms that act as centres, with facilitators who scaffold learning around coding, makerspaces, online learning, GAFE tools, 1:1 Chromebooks, etc. But when we identify something else we want to learn, it gets organized in minutes. Today, someone asked to learn more about the online assessment tool, FreshGrade. After a few questions from the coordinator, a decision was made to host a session at 11:00 on online assessment tools in general. I volunteered to organize it. Alison Bullock organized a GHO with a vendor rep and designed a Google form to collect questions. David Pope volunteered to share his experiences. Mark Carbone volunteered to speak about privacy of student information. At 11:00, about 25 teachers arrived and we had a rich discussion about all of the considerations involved in choosing the right online assessment tool. And it was just that fast. We wanted to learn more about Assessment. Volunteers gathered the learner questions through open Google forms by tweeting the link. The experts were brought in physically or through GHO. A time and place was established. We had a rich discussion, a screenshare demo of possibilities, and we walked away so much better informed about what is available, and the considerations we must make before implementation of online assessment tools. This “identify the need – organize the resources – learn more” rhythm is becoming pervasive in professional learning. We now have the tools to respond to learning needs, not just with information, but with human resources, with organizing tools, and with synchronous learning tools. Our classrooms can have this rhythm. Interest -> questions -> organize -> bring in experts -> discuss. A child who reads Moose (by Robern Munsch) with her parents at bedtime might have many questions about moose the next day. The teacher can organize a Google Hangout or Skype call with a moose expert to answer questions for the child. We have the tools to respond immediately to learning needs, and to further develop interests and passions. We need a new, responsive, rhythm for learning that has at its core, the ability to grow an individual’s motivation and desire to learn even more.